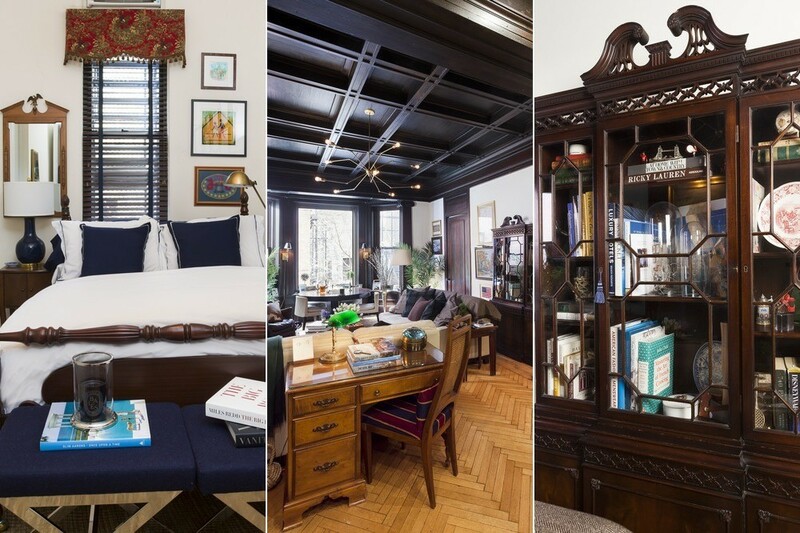 A real estate agent in New York City blended traditional, found pieces with time-tested prewar architecture, to create his nostalgic, yet contemporary, home in New York City. 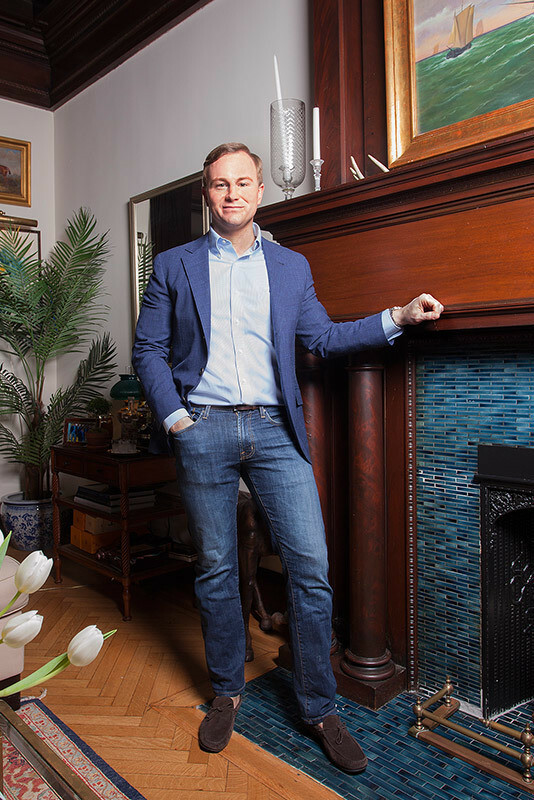 Scott Francis in front of his charming wood-burning fireplace in his apartment in New York City’s Gramercy Park. 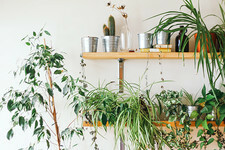 “Lighting is the energy of a space,” posed Francis, whose apartment grants ample daylight. Nestled beside the bay windows is the dining table, hemmed in by B&B Italia chairs. 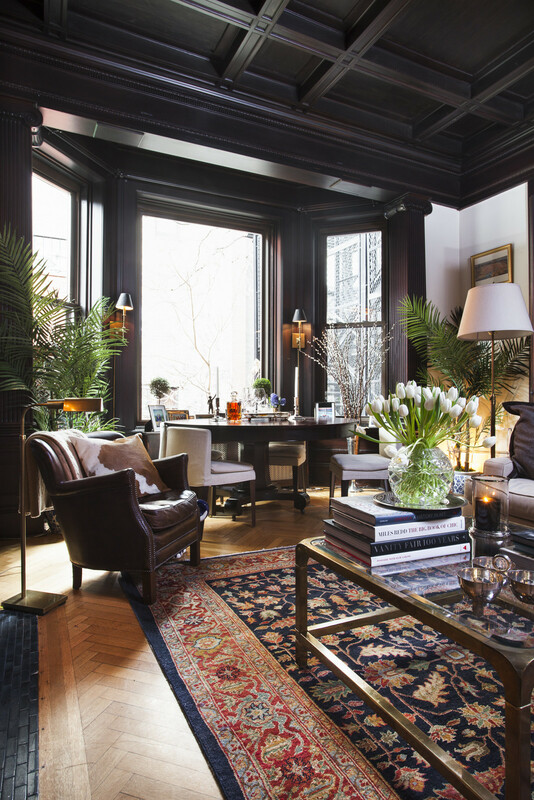 Rather than blandly appointing his home with precious collectibles, Francis layered styles. In the living room, he gave the wood-paneled ceiling a chic update with a sculptural chandelier fashioned from thin brass arms and exposed bulbs, a piece he designed himself at a hole-in-the-wall lighting shop in the Bowery. A sturdy Mastercraft coffee table (Francis’s favorite find) coexists with a rug from Ralph Lauren Home, a Restoration Hardware armchair, and a Chinese garden stool Francis found in the Hamptons. Cushy forms, like a pair of cream-colored Holly Hunt sofas, ground the living area, and host a gentlemanly assemble of wool, velvet and cashmere pillows and throws. “My place might look formal, but the way I hope to make people feel when they’re in my home is relaxed,” shared Francis, who relishes the idea of “kicking off your shoes” in a beautiful backdrop. 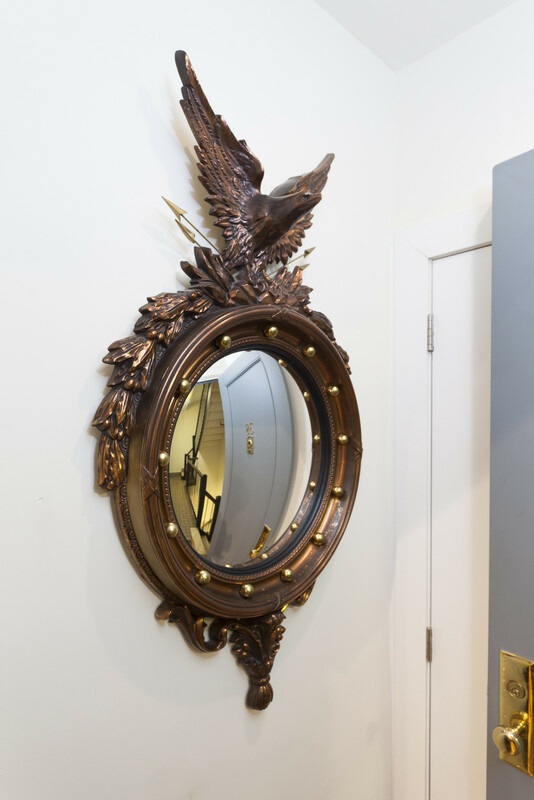 This mirror is not an antique! Surprisingly, the Federal style convex mirror is from Restoration Hardware. 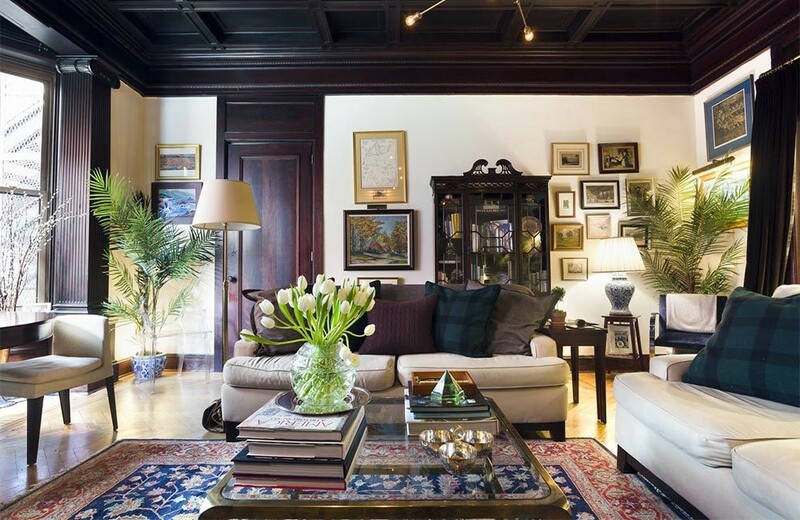 The elevated ceiling makes way for the tenant’s eclectic art collection, most of which he’s scoured from various estate sales. “That’s how I spend my Saturdays and Sundays,” he explained, “at antique stores; or driving around the coast, stopping in and picking up interesting relics.” His maritime affinity, learned from a life spent a stone’s throw from the ocean, is seen throughout. An emphatic example dangles above the hearth, in an antique painting of an old clipper ship—another estate sale find. 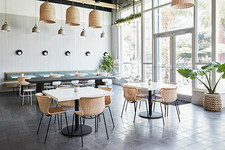 The living room’s overall nostalgia is penetrated by undeniably modern chair silhouettes, see Kartell’s Ghost chair, dining chairs by B&B Italia, and a blue velvet incarnation of Knoll’s Brno chair. Beyond the well-collected living room, treasured curios continue into the apartment’s master bedroom. No style is lost inside the room’s limited square footage, seemingly enlarged by the lofty ceilings. An edited medley of antique and modern pieces brings the room to life. Francis’s inherited four-poster bed stands center behind a pair of multitasking x-benches from Ralph Lauren Home, while an early edition Ethan Allen mirror hangs alongside a ceramic lamp from One Kings Lane. The antiques endure in the master bedroom, where the walls are decorated with Francis’s continued art collection. In the center, Francis devised a warm setting of multi-tonal woods to bring a richness to the space. The desk in the foreground is an early edition Ethan Allen. On the right, Francis’s finds are displayed in a traditional cupboard—a piece he predictably scored at an estate sale.